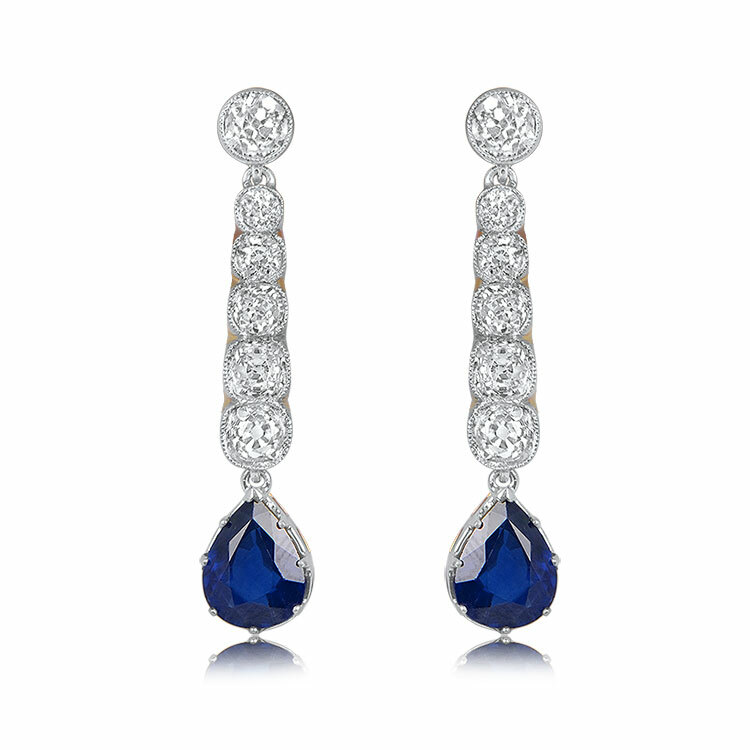 A lovely pair of long earrings that drop two natural pair shape sapphire with a deep blue saturation with a total approximate gemstone weight of 5.50 carats. 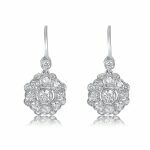 The earrings have a line of graduating antique diamonds with a total approximate weight of 3 carats. 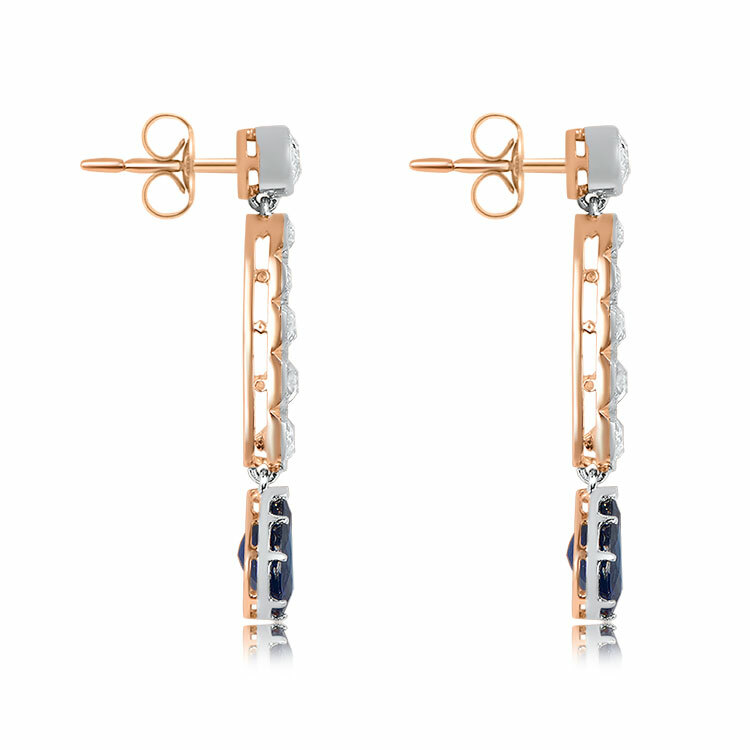 These earrings are platinum on 18k rose gold. The measurements of the pear-shape sapphires are 9.80mm x 6.90mm. 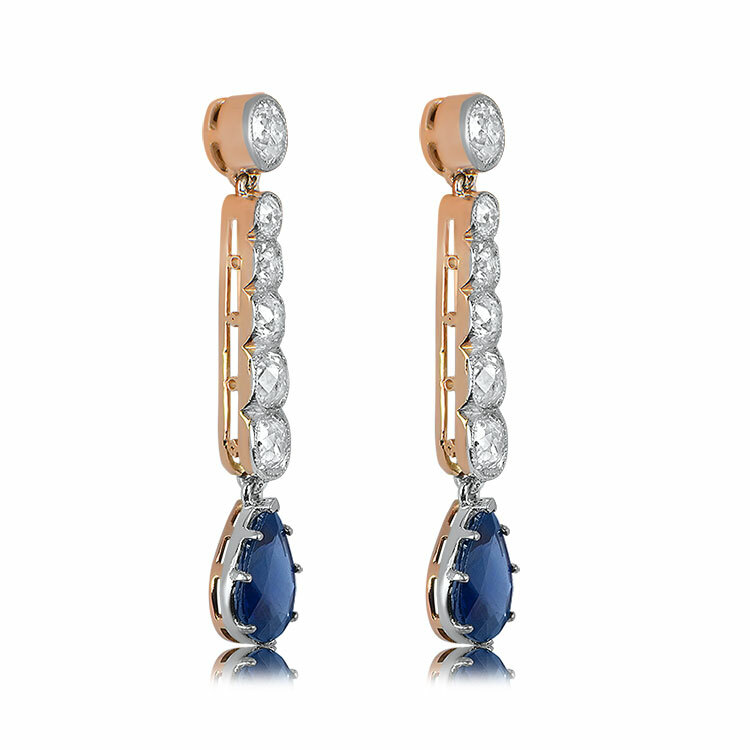 These earrings have a mechanism that allows the earrings to dangle from the sapphire and from the top. 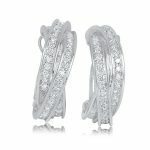 SKU: GS528 Category: Vintage Earrings - Contact us and request additional pictures.